This journal's name has been changed. 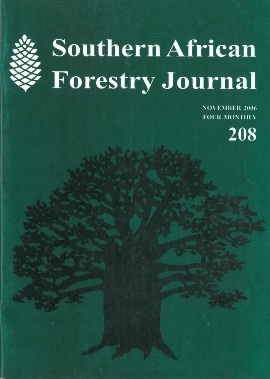 Contents of the Southern African Forestry Journal are available in the tab below, however the journals is currently known as Southern Forests. Urban forestry – A cinderella science in South Africa? Enter your details below to subscribe to The Southern African Forestry Journal. Have a question about The Southern African Forestry Journal? Call us on +27(0)46 622 9698 or submit an enquiry using the form.